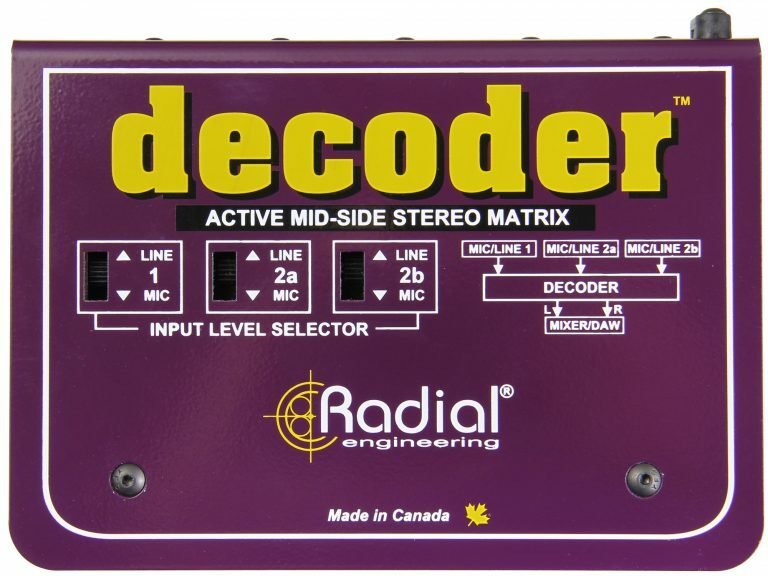 The Radial Decoder is a microphone preamp and mid/side stereo matrix that allows the user to easily create M/S recordings without having to re-configure a recording console. 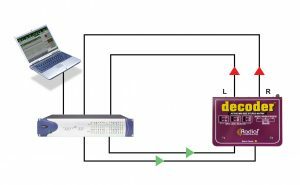 Featuring built-in mic pre’s with phantom power and independent level control, the Decoder automatically combines the signals to a stereo output using the sum-difference method for spectacular stereo imaging that translates well to mono for broadcast. The Decoder begins with three ultra-quiet microphone preamps. The mic/line input-1 is assigned to the MID or direct microphone, while mic/line input-2a is assigned to the SIDE microphone. A link button automatically duplicates and pans the signal and flips the phase for a traditional M/S stereo image when used with figure-8 microphones. 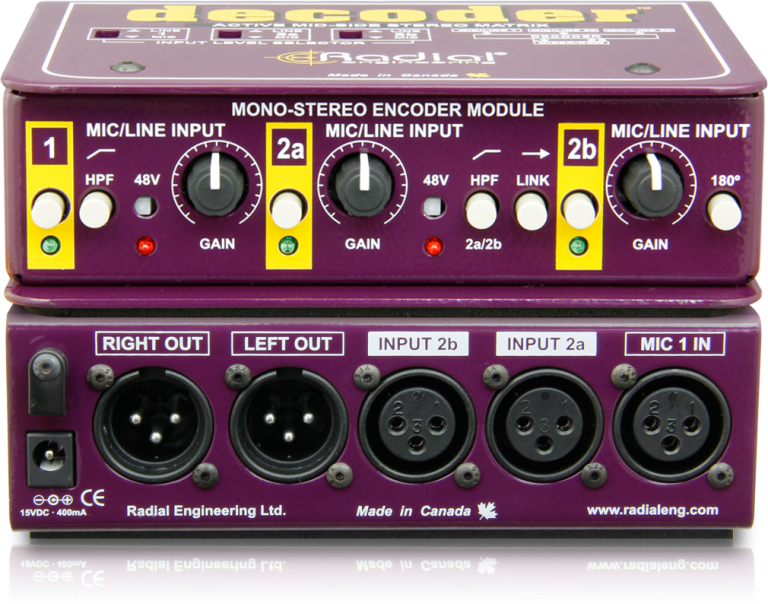 Mic/line input-2b allows the Decoder to be used with a pair of cardioid microphones rather than a figure-8. This opens up the door for a variety of microphones and different spacing techniques to be employed for ultimate convenience and creativity. The Decoder can also be switched to +4dBu line level for Reamping™ pre-recorded material during mix-down. 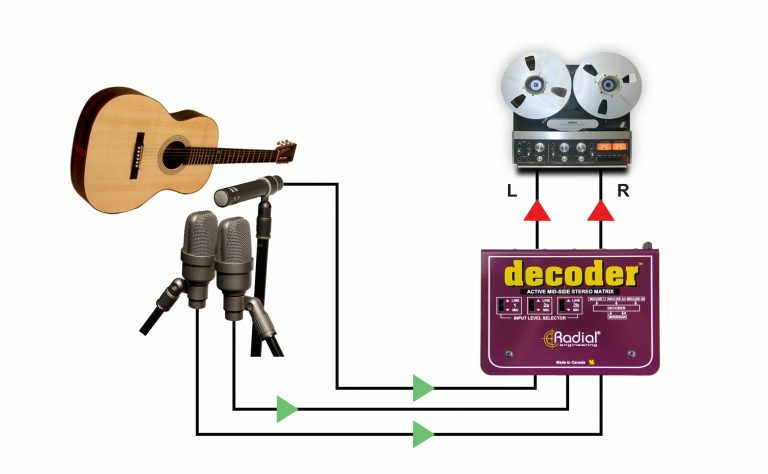 Simply record a SIDE microphone while tracking and bounce to a stereo M/S image later. 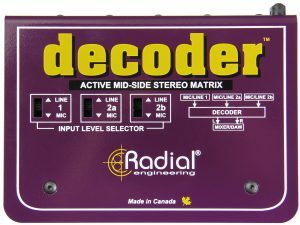 As the Decoder is intended for use in the studio or in the field, the chassis is built out of heavy duty 14-gauge steel. The internal I-beam frame and book-end construction prevents premature damage to internal circuitry and protects knobs and switches from impact. A full bottom no-slip pad provides electrical insulation and mechanical isolation to reduce mishap. The chassis can also be rack- mounted on its own or with other Radial products using an optional rack kit. 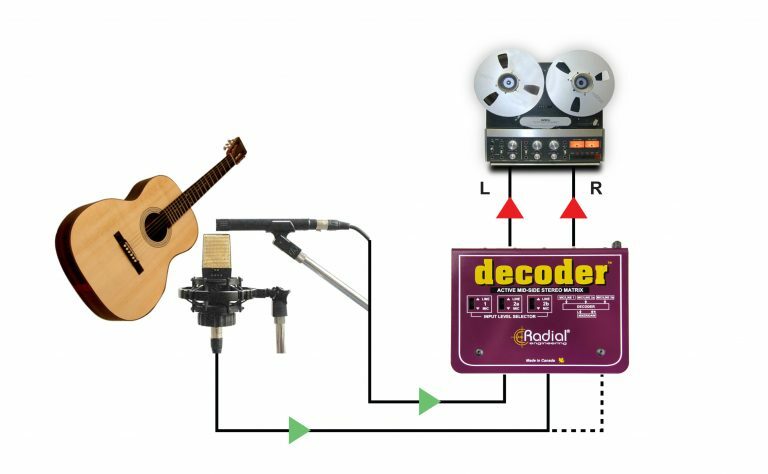 The Decoder… mid/side recording has never been so easy! Traditional M/S recording using a cardioid microphone as a mid mic, and a figure-8 mic positioned at 90° from the source to capture the side image. 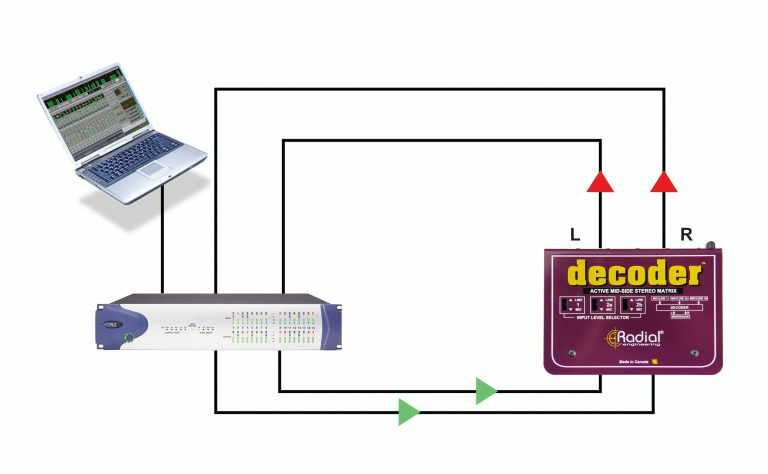 Instead of using a figure-8, experiment using three cardioid mics with the Decoder's three preamps to create unique M/S imaging. Spacing the mics apart can offer wide ranging effects. 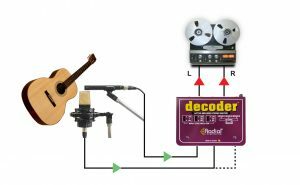 The Decoder can be switched to line-level operation to process pre-recorded tracks. Record with an M/S mic setup but adjust the stereo image during mix-down.